I have wonderful news about toys! The exciting, groundbreaking CPSC reform act, overwhelmingly approved by both the Senate and the House this summer, starts the countdown toward safer toys for your children. This act bans lead and toxic phthalates in children’s toys and requires third-party safety certification before toys go on the market. Plus, you’ll have access to ingredient databases so you can make your own decisions about what the toys in your household have in them. More good news… major retailers will be taking major voluntary steps beyond these regulations. And I am hopeful that the Kid’s Safe Chemicals Act will pass in 2009. But I also have not-so-good news. Unfortunately, the regulations and the voluntary guidelines will not go into effect in time for this season’s holiday shopping. This is the one year to be extra choosy for your family gift list. 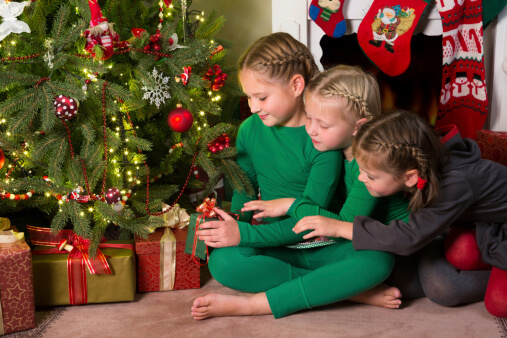 Here are my guidelines for keeping your children safe this holiday season. Unfinished solid wood toys or the ones with water-based stains are great choices. Skip the wooden toys made from pressed wood (where you can see the layers) or particle board (where you can see the fine grain of glued-together particles), unless you are sure that the glues are safe. Many adhesives still contain chemicals you wouldn’t want for your child. For wood products, something displaying the seal from the Forest Stewardship Council (FSC) goes the extra step and certifies the wood was harvested in a sustainable way. Bamboo can be another good choice for toys. This is also a great year to look for toys made from natural cotton or wool (organic is even better). You want your stuffed toys to have a safe filling. For art supplies (a great gift!) look for those with the AP seal. They are certified safe by the Art and Creative Materials Institute (ACMI). Although I prefer the natural toys, I am realistic. Many of the toys your children request are made out of plastics. Look for plastic toys with the recycling symbol 1, 2, 4, or 5. Avoid anything made from 3 (PVC, commonly made with phthalates) or 7 (unless it says BPA-free). BPA is primarily a concern in the mouth. Phthalates are also a concern in the air and on the skin. Some toys are labeled BPA-free and phthalate-free. Even if a toy is safe, the packaging, carrying case or storage pouch may not be. Pay attention to plastic around the toys as well as plastic toys themselves. You may want to keep the toys and throw away the case. And I always recommend you watch out for cheap metal jewelry and toy cosmetics. Raincoats and rain boots are another place to be on the alert. Patogonia and Hatley make PVC-free kids’ raincoats. My favorite resource for health toys is www.HealthyToys.org. Right now, they list 146 toys that they have independently tested with x-ray fluorescence spectrometry and found to contain no trace of lead, PVC, cadmium, arsenic, mercury, tin or antimony (their testing does not detect BPA). They’ve also tested many toys that DO have a problem. Hundreds more toys will come out with their 2008 guide before the shopping season really gets hopping.